fully automated powder coating line. The automated welding line is equipped with 10 high performance welding robots, designed in TWIN system. It allows for one element to be welded by two robots at the same time, which reduces the part production process and increases the productivity of the production line. 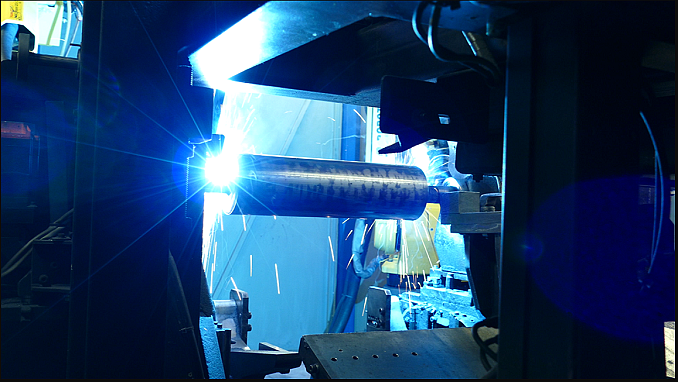 Welding time for one roller is within tens of seconds, depending on its diameter, and welding of one bracket takes only a few minutes for our robots. For the production of high quality brackets we use an advanced technological line, equipped, among others, with a numerically controlled laser cutting machine with a sheet loading and receiving system. 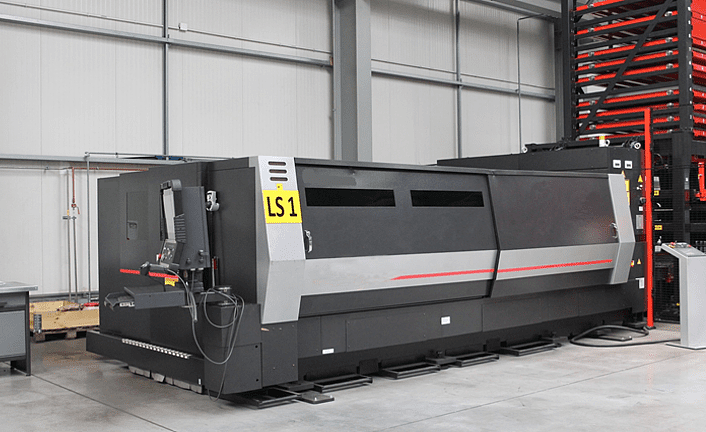 Thanks to such solution our laser cutting machine allows for virtually operator-free work. Use of highly efficient bracket production technology allows us to reduce the production costs and the negative impact of production processes on the environment. Use of laser technology in the production process allows us to modify and adapt our products to the specific requirements of our customers, as well as to quickly and effectively implement new production concepts. An important element in the production process of our company is a modern, automated powder coating booth, thanks to which the time of delivering the final product to the customer is significantly shortened. The robotic powder coating booth is able to realize the whole cycle of painting a large batch of rollers in just 2.5 hours, and powder paint baking in 180oC takes only 10 minutes. The modern powder coating booth allows for application of the lacquer coating of min. thickness of 80 μm. The speed of lacquering belt is from 0.8 to 1.2 m/min, while conversion of the entire line to the different coating colour takes us no more than few tens of minutes. Use of highly efficient painting technology is fully environmentally friendly.